World leaders — heads of state especially — tend to be tactful people, whatever else might be said about them. When they discover that one of their number happens to be incredibly arrogant and psychopathic (and some leading psychopaths are skilled charmers; they’re not necessarily blatant about their aggressive intents like Hitler was), they don’t generally publicize the discovery of this unpleasant fact, because doing so would be worse than tactless: it would be downright stupid — it would jeopardize lots of the interdependencies that nations have with one-another. It would be counterproductive. Here is that phone-conversation, between Ashton and Paet, annotated by the author to explain what they were referring to, and accompanied with a link to the phone-conversation itself, so that you can hear it if you wish. It was clear from the conversation, up to that point, that Paet regretted needing to inform Ashton that the pro-EU side was actually controlled by some scoundrel (as yet unknown), and it’s clear that Ashton was shocked to hear this; but, as Ashton made evident from her response, she didn’t want to discuss this matter any further. These were two seasoned diplomats, and they both understood that there was nothing they could do about water already “under the bridge,” and on its way. But both of them realized, now, that its way was anything but democratic. This was useful information for Ashton to have, in her professional capacity for the EU. This assignment ended up being fulfilled on 26 February 2014, just four days after the February 22nd coup. Coincidentally, on the very same day when Ashton heard Paet tell her that it had been a coup, “Yats” publicly received the appointment to run Ukraine’s Government, but not as Ukraine’s President (since the previous one had just been overthrown and such an immediate and non-democratic replacement of him would have been too obviously a coup), but instead as Ukraine’s other top post: Prime Minister. 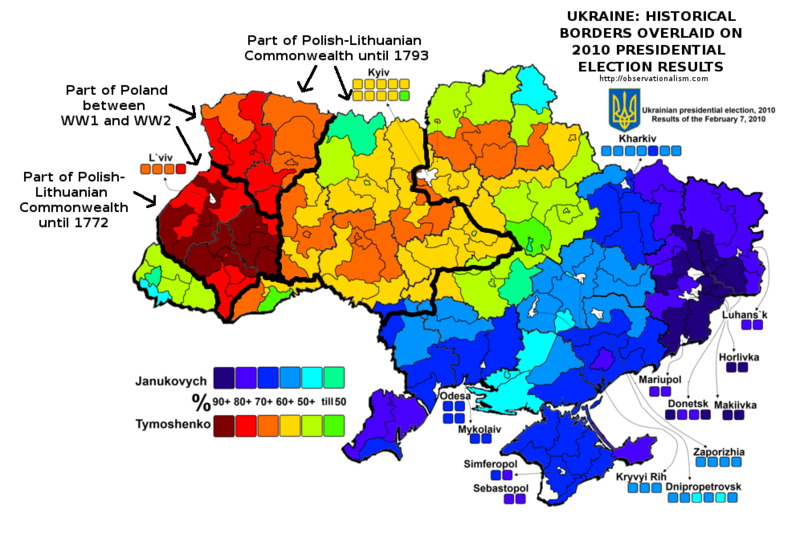 Obama wanted Yats’s sponsor, Yulia Tymoshenko, to win the election to replace Yanukovych as President, when that post was put up for a vote in only the northeastern half of Ukraine, the half that favored the EU and the U.S. over Russia. (It’s one of the reasons he had insisted she be released from prison from her corruption-conviction, immediately at the coup.) But she turned out to be too extreme in her Russia-hatred to be able to win even in just the northeast (the anti-Russian part of Ukraine); and, so, Obama had to settle for the slightly less racist-fascist anti-Russian, Petro Poroshenko, when he won on May 25th, and the Presidency was now downgraded to little more than a figurehead status. Russia’s leader, Vladimir Putin, knew everything that was going on: for examples, both of those phone-conversations had been posted to youtube after having been recorded by Russian intelligence. So: he took the action that he needed to take in order to enable the residents of Crimea, where Russia had had its main naval base since 1783, to vote on whether to rejoin Russia, of which they had been a part until the Soviet dictator Khrushchev donated Crimea to Ukraine in 1954 — a move that was extremely unpopoular in Crimea. Putin enabled them to hold a plebiscite in Crimea on 16 March 2014, which was declared by international observers to be free and fair; and the result was 96% to rejoin Russia — virtually the same percentage that was shown in opinion-polls of Crimeans. U.S. President Obama wanted to punish Putin for taking this defensive measure against U.S. aggression — against the anti-Russian coup in Ukraine. 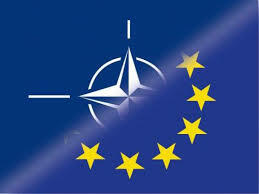 At first, the EU went along with the weakest sanctions that Obama pushed for against Russia, and they held out for as long as they could to delay the serious ones, until 17 July 2014, when the Obama regime in Ukraine sent up at least one fighter-jet and downed the MH17 Malaysian airliner over Ukraine’s conflict-zone and blamed it on pro-Russian separatists who had been bombed for months by the Ukrainian regime — the legend was that they had fired a “Buk” missile-launcher at the MH17 mistaking it for being one of Ukraine’s bombers. Not knowing that this had been yet another set-up job by the Obama-team, the EU now consented to join really stiff sanctions against Russia — on the theory that the downing wouldn’t have happened if Russia had not helped the separatists to do it. But, then, EU leaders came to know that Obama had been behind this atrocity too. What had started with Nuland’s “F—k the EU” was now the EU’s complicity with the racist-fascist, or ideologically nazi, anti-Russian coup-imposed Government that she and her boss Obama had placed into power in Ukraine. A lot of influential people in Europe aren’t as accepting of nazism as Obama quite evidently is. When it became clear — after two successive invasions of the resisting Ukrainian region, Donbass, both of which invasions failed to do anything other than to destroy the region that Ukraine claimed to be protecting against ‘Terrorists’ via Ukraine’s ‘Anti Terrorist Operation’ or ‘ATO’ for short — that assisting any further with America’s take-over of Ukraine would be not only war-criminal, but likely to lose, they started falling away from the entire effort. Critically important in this regard was a 21 November 2014 vote in the U.N. on whether to condemn racist fascism, and especially to condemn Nazi Germany’s World War II Holocaust against mainly Jews. Far-right racist nationalism has been booming recently; and, so, when the United States was one of only three countries — the U.S., Ukraine, and Canada — to vote against this resolution, almost the entire world was shocked. Clearly, now, President Obama, despite his liberal rhetoric, is far to the right of the vast majority of world-leaders, and is an insult to the memory of the U.S. troops who died fighting Hitler in World War II. Among the first to abandon Obama on this, right on Christmas Eve, was Viktor Orban, Hungary’s leader, who was outraged at Obama’s treatment of Hungary as if it were a vassal-state of the U.S. Empire. Then, on 3 January 2015, Milos Zeman, the Czech head-of-state, joined with Orban in that. Those countries had experienced Hitler’s horrors first-hand, and they don’t like nazis, not even ones (such as Obama) who speak liberal platitudes and have dark skins (and so arent’ a fit for the nazi stereotype — but only for the Big Lie extremity of nazism). And, now, it seems to be the majority of the EU who are resisting Obama’s contemptuous treatment of every other nation than his or her own. Then, on March 12th, Iceland terminated its candidacy for joining the EU. The EU’s rightward bend toward the U.S. seems to have been a big turn-off to Icelanders — they won’t touch even the EU. On March 13th, Ukraine’s figurehead President announced that he had reached agreement with “a series of the EU countries on the supply of armament”; and, the next day, Russian Television reported that 11 of the 28 EU member-nations had agreed to supply Ukraine with weapons. 17 refused Ukraine’s request for arms. Then, on March 17th, washingtonsblog bannered, “Major American Allies Ignore U.S. Pleas and Join China’s Alternative Bank” and reported that UK, Australia, New Zealand, Singapore, India, France, Germany, and Italy, had all agreed to join China’s newly-forming international-development bank competitor to Washington’s IMF and World Bank. China, ever since the U.S. had started its Ukrainian proxy-war against Russia, has sided with Russia, against that war; and what this international conflict is really about is the continuance of the U.S. dollar as the global reserve-currency: Russia, China, and the rest of the BRIC countries — the rising developing economies — are seeking to replace the dollar-monopoly. The Obama Administration has been twisting arms all over the world to try to block nations from signing onto China’s new world bank; and Obama’s getting rebuffed by all these nations, many of which have been traditional U.S. allies, is a historic turn away from the American Empire that he is trying to ram down everyone’s throat. And, on March 20th, zerohedge bannered, “US ‘Isolated’ As Key Ally Japan Considers Joining China-Led Bank.” If this happens, then the American Empire will be all but over. When President Bill Clinton virtually spat upon Franklin Delano Roosevelt’s historical heritage by joining with the Republicans’ war against Russia and inviting as many former Soviet-bloc nations into the U.S.’s now anti-Russian (no longer anti-communist; communism was gone) military alliance, NATO, as possible, and he even terminated the FDR-era Glass-Steagall Act requirements that had blocked the big banks from gambling with taxpayers’ money and from their keeping only the winnings and transferring onto the Government the losses when their bets go bad, Clinton started what Obama is now trying to culminate; and, finally, at long last, the world-at-large is clearly telling this anti-FDR, aggressively imperialist, U.S.A., to just shove its fascism down its toilet. More and more nations are saying, in effect: Good-bye, Uncle Sam; you’re not the nation you were during World War Two; you’ve instead become the global enemy; you’ve turned and become fascist yourself. His obsession to conquer Russia, as I reported it on 12 February 2015: “U.S. President Barack Obama’s just-issued National Security Strategy 2015 uses the term ‘aggression’ precisely 18 times, all but one of which are either explicitly, or else possibly, referring to Russia, as allegedly doing the alleged ‘aggression’ — never the U.S., and on only one occasion is he identifying North Korea with that term of opprobrium. Presumably, he thinks that Russia is by far the most ‘aggressive’ country. After the bloody coup that replaced Ukraine’s democratically elected President by a nazi regime a year ago; and after that regime, serving Obama’s need for hiked EU sanctaions against Russia, shot down the MH17 Malaysian airliner on 17 July 2014 and slaughtered those 298 innocent people and blamed it all on Russian-supported separatists, all in order to further Obama’s bloody designs, he now has the gall to accuse Putin of “aggression” for defending the residents of Crimea from the nazi regime that Obama had installed. And there’s so much other icing on this bloody cake. For example, Russia’s Sputnik News headlined on March 20th, “South Stream: Life After Death?” and reported that the Obama regime was caught trying to instigate a coup to overthrow the current leader of Macedonia, who is balking against increasing sanctions on Russia, and who wants Macedonia to host a new pipeline for Russian gas into Europe. And Sputnik News headlined the very next day, March 21st, “New OSCE Report on Ukraine Says Ukrainian Forces Obstruct Monitors’ Movement,” and reported that, “OSCE’s Special Monitoring Mission said on Saturday it was denied access to an east Ukrainian territory controlled by Ukrainian armed forces.” Obama is re-arming his Ukrainian stooge-regime for yet a third attempt at exterminating the residents of the area of Ukraine that had voted 90% for the man he overthrew. Obama and his stooges apparently think that they can get away with everything. And Republicans in the U.S. Congress complain not that he’s doing this, but instead that he’s not giving Ukraine enough weapons to do it. And, all of this happened after Gallup international had polled 67,000 people in 65 countries in 2013 (and never again) on “Which country do you think is the greatest threat to peace in the world today?” and found that the U.S. crushed the ‘competition’ on that, with three times as many repondents identifying the U.S. as compared to the #2 nation, which was Pakistan. Russia wasn’t even listed in the news-reports (and the poll itself wasn’t made public), because the news-reports listed only the top six-mentioned nations, and Russia wasn’t among them. No doubt, this was one reason why Gallup yanked the question from their polling during 2014, especially after all of the international mayhem (including the coup in Ukraine) that the U.S. perpetrated last year. So: EU leaders are finally getting the message — and even Japan and Australia are. When George W. Bush put together a coalition of English-speaking countries to invade Iraq in 2003, nuclear weapons (other than the depleted uranium that we showered down upon Iraqis) weren’t an issue. Now, they definitely are. And, more and more, the world’s leaders are trying to dispense with “the one indispensable nation,” so that they (and everyone) won’t be dispensed with, themselves. It’s well-known that only aristocrats profit from wars. And O’Bomba represents them just as much as his Republican ‘opposition’ do. But, now, even the aristocrats in other nations are increasingly abandoning him. All he evidently still has going for him is liberal and Democratic fools in the United States, who haven’t yet figured out that he’s a Manchurian candidate, Trojan horse, ‘Democrat,’ who (like the Clintons) would have FDR twisting in his grave if only he saw this. Fortunately, Roosevelt isn’t around to see it. President O’Bomba might become even more isolated internationally than he is at home, where there are enough liberal fools to keep him barely aloft, and enough conservative fools to keep alive the myth that he’s a Marxist Muslim. The U.S. has become a nut-hatchery, and the foreigners (especially the leaders in the ‘dispensable’ countries) are beginning to notice. Even America’s former friends are no longer amused.